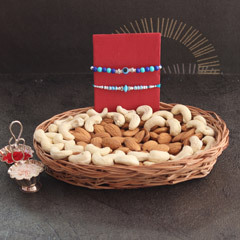 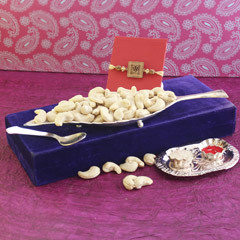 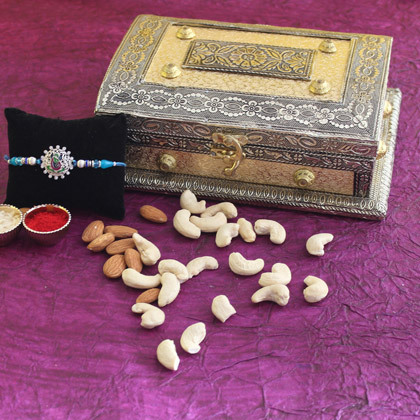 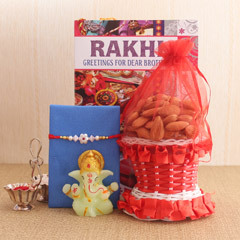 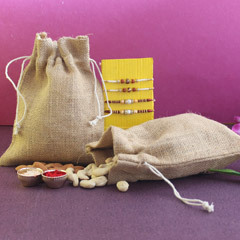 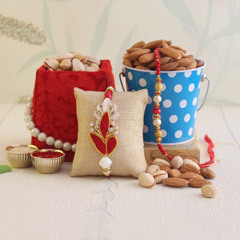 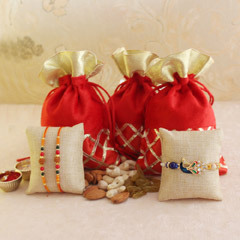 Wow is this Rakhi with dry fruits hamper that your dearest brother will definitely love a lot. 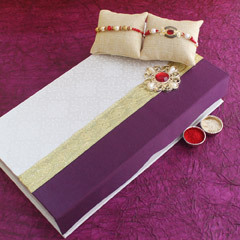 It’s a wonderful gifting option as it will convey your feelings of care and love to dearest brother. 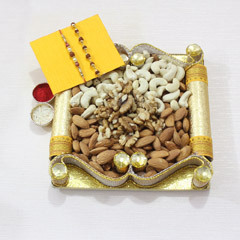 Along with very intricate and spiritual silver Ganesha Rakhi, the wonderful box of dry fruits will definitely impress your brother to enjoy the healthy snack.